Have you ever asked yourself how to create a qualitative and powerful website without using the services of a professional web designer? 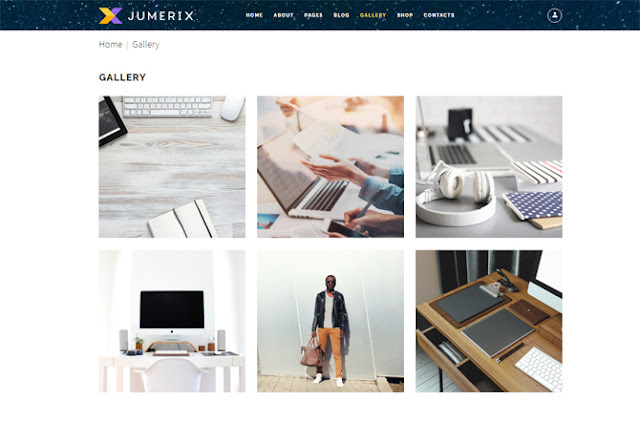 Today it’s possible with the help of Jumerix – a new Joomla template. As you can see, this amazing Joomla template represents a package of ready-made pages that were competently designed in order to assist you in the process of website building. With its’ help, you are able to get the website of your dream with no effort. 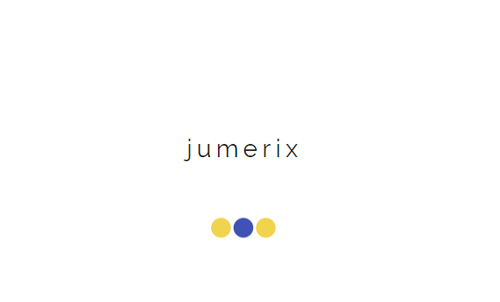 Being that, Jumerix was built with a valid, semantic code and includes a wide set of modules and plugins. Still, the template is simple in use, so you may handle resources with a heavy content in an easy way. 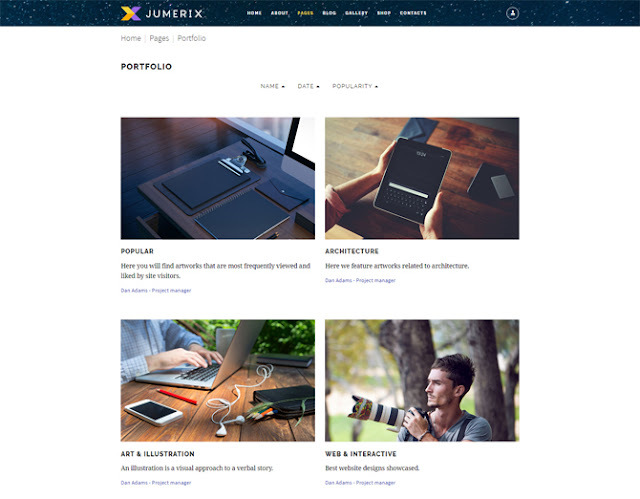 Moreover, Jumerix is a multipurpose template, which includes a great list of different features that will help you to become the owner of a perfect and modern website. Nowadays you don’t need to search for every feature for your website individually, as this unique Joomla template was made in line with all the new trends and preferences. Without a doubt, choosing this Jumerix is an advantageous decision as you will definitely avoid wasteful expenditure. For this reason, Jumerix includes the drop-down menu, forum, parallax scrolling effect, Swiper slider and other useful features. With its’ help, you get a chance to create an incredible online shop, colorful portfolio, forum or everything at once! Needless to say, all the installation instructions were added to the package. You may find them in ‘Documentation’ folder. In addition, we provide you with 24/7 technical support, which will help you to resolve all the issues and answer any questions. Are you interested? Then don’t hesitate! 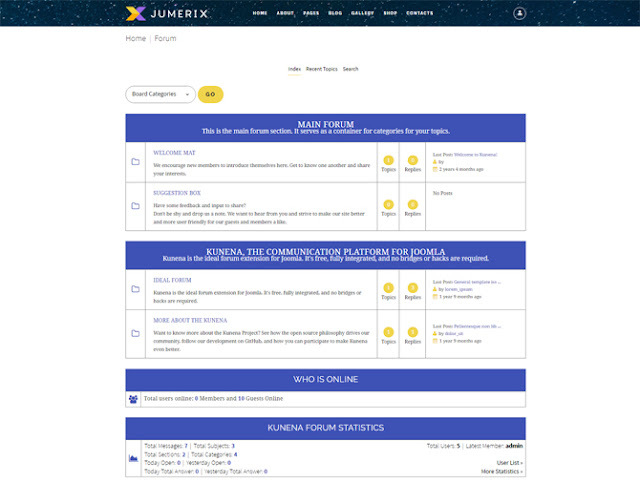 Let’s take a look at a full list of Jumerix features! Here is a great chance for you to start your own business! 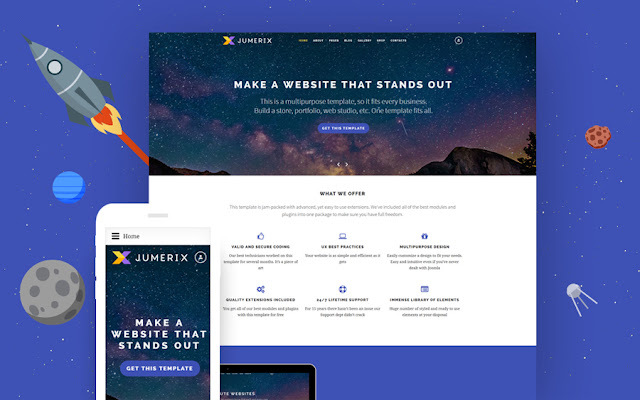 Talking about Jumerix, it’s the easiest way to get the website you’ve been dreamed about just out-of-the-box. Nowadays you don’t need to be a professional website builder to do it because such things as full VirtueMart integration and a set of pre-loaded online store pages will definitely assist you in the process of creation. Gently speaking, visual presentation of your service seems to be eye-catching, but list surely gives more detailed information to your guests. Would you like to show your website from both sides? Do not hesitate to use the feature in question! 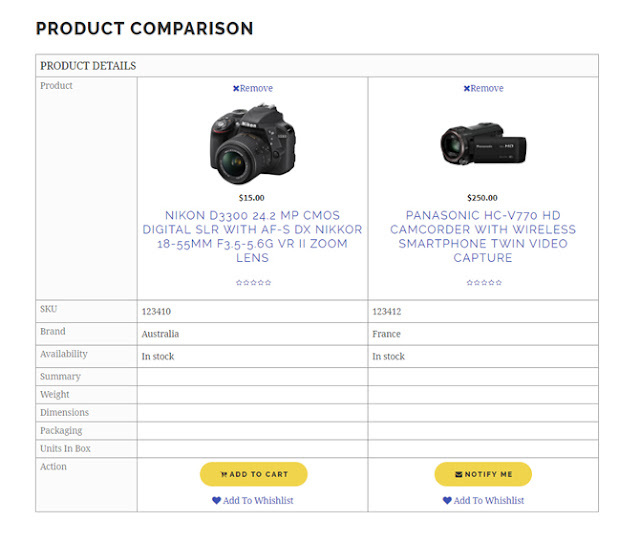 It’s no wonder that for today product comparison is an indispensable part of all powerful online shops. As you may see, this remarkable feature brings comfort to your visitors while making the choice between different products. 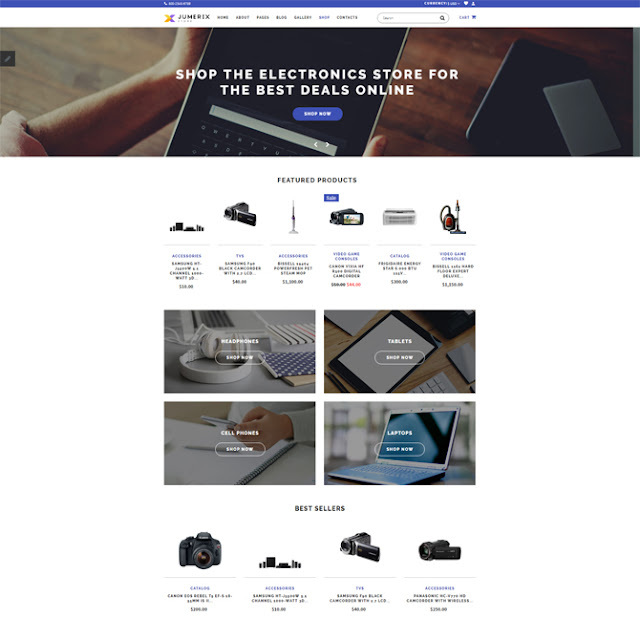 Wishlist is the next important feature for owning a web store as it makes shopping easier. With the help of this option, people are able to tag the products they are interested in and add all the stuff into an endless wishlist for further cogitation. Meet the biggest trend for creating a website menu! This feature has become quite popular because it’s easy-in-use and looks amazing. Moreover, MegaMenu let you add some promo banners or images and make well-organized columns of your links. As it was mentioned, this incredible Joomla template brings all the possibilities to make your website as cool as possible. Thus, Jumerix package includes the swiper slider feature that allows you to represent your service in its’ best. Now you don’t have to be afraid of modifying rich-content websites because Jumerix also includes OWL Carousel. In a word, this is another feature made for your comfort as it helps one to create a beautiful responsive carousel slider. In addition, you are provided with a fantastic palette of colors for any taste that you can use in order to change the theme of your website. Would you like your website to become brighter? This amazing trend of web design will certainly help you! The main function of this feature consists of the background moving at a slower rate to the foreground in order to make an unbelievable 3D effect when you are scrolling the page. Still want to find more ways of getting the attention of your guests? Can’t see the problem! Considering entertaining, this significant feature let you add any video to the ready-made template of your website. Made with hover effect and quick view option, this gallery is a great example of style and functionality in one package. In addition to the previous feature, below is a second option made for a marvelous look of your website. Just add some description to your pictures and track its’ popularity. Talking about the practical side of Jumerix, this feature shows the location of any places with the help of a built-in Google map. Surely, the option helps to find new visitors for your website. It’s time to leave behind all the boring signatures with the help of this creative feature. 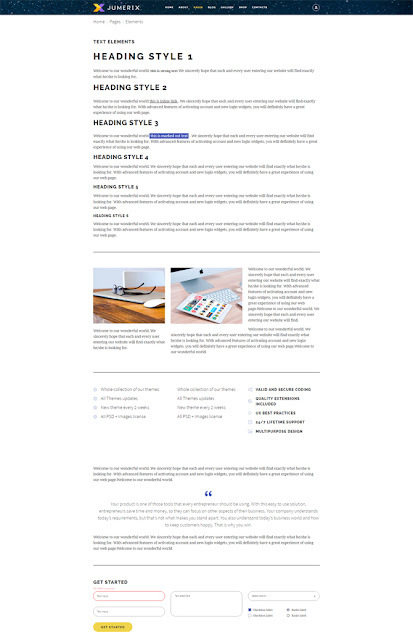 Providing that, Google font and icons were added into the template to interest your visitors. As you may see below, a preloader is a small signature, image or any other contest teaser, which appears in the place of a blank page during the loading of the website. With its’ help, your visitors know that there are no problems with network connection or website by itself if a session is too long. Would you like to show your customers all the latest updates from your profiles in some social networks? Well, now you are able to do it with Social Block feature. Nowadays one doesn’t need to waste time for filling boring registration forms. 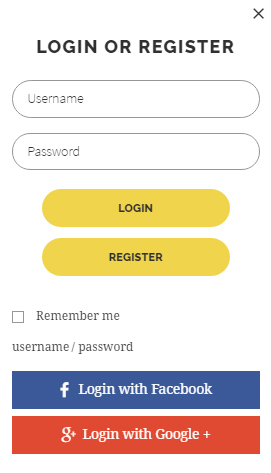 In that case, just use social login feature, so your visitors will be able to login into the website in several seconds using their Facebook or Google plus account. Don’t miss this option! Show your visitors how much you care about their comfort with the help of online chat. Besides, using this feature will help your customers with getting the answers that they are looking for and turn their minds to shopping. Would you like to know that people think about your service? With this intention, use the Komento feature and get some reviews, advice and questions from your customers. As well as the previous feature, a forum will let your customers share their thoughts about your website. What is more, having forum means long comments and hot discussions what makes the statistic of your page higher and higher. As you may know, cookies help the owner of a website to see some information about its’ visitors. For example, there is a possibility to identify the device that was used to enter the site. More importantly, it helps you to secure one’s access to your page, so this feature has undeniable merits, but let your customers feel safe by using the banner in question. Don’t hesitate! Allow your customers to subscribe to your updates and get all the latest news with no efforts. The option provides you with the control of all the modules and pages that the package includes. As you may see, the option contains the list of user interfaces and represents all the useful information about them. Needless to say, the reputation of your website depends on the quickness of its’ loading. Be sure, with the help of speed optimization, you can do your best! Would you like to learn more about Jumerix? Take a look at the videos below! Still, have any questions? Feel free to visit our service center and get more information for creating the website of your dream. We will be happy to assist you while providing the templates customization. It was a full description of Jumerix. How do you think, are there any valid features that were missed while creating this Multipurpose Joomla Template? Is it enough for creating the website of your dream? Maybe, you have already used Jumerix and have some thoughts to share? Feel free to leave your opinion in the comments!